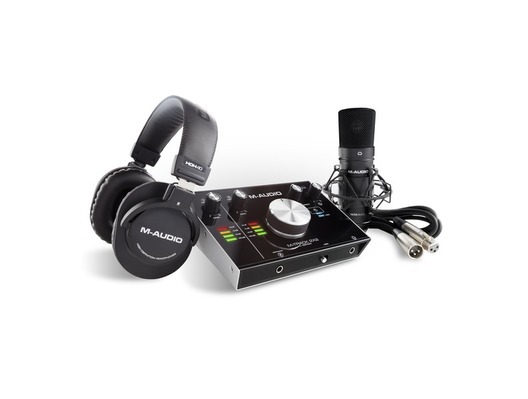 The M-Audio M-Track 2x2 Vocal Studio Pro is a complete recording package that includes a pair of HDH40 headphones, the M-Track 2x2 USB audio interface and Nova Black microphone. This fantastic home studio package is perfect for musicians, singer/songwriters and bedroom producers, who need a portable and user-friendly way to record and monitor their DAW based recordings and productions. Studio Grade Capture - Simplified! This is the creative centre of your recording setup: The simple-to-use, style-infused M-Track 2X2 C-Series audio interface is the perfect tool to record and produce natural-sounding 24-bit/192kHz studio-quality recordings. Combining one XLR+¼" balanced combo input and an all-new dedicated ¼" instrument input, the M-Track C-Series 2X2 enables you to record two channels simultaneously. The versatility of a combo input accommodates any source audio with a microphone or line-level output while a tailor-made gain and impedance stage on the conveniently located instrument input guarantees a clean, accurate guitar or bass DI signal. Studio-grade recording demands the right tools for the job. M-Audio's Nova Black large-diaphragm condenser microphone is perfect for podcasting applications or capturing high-quality audio from vocalists, instruments, percussion and more. Professional production requires uncompromised accuracy when it comes to monitoring. M-Audio's HDH40 headphones combine premium transducer elements with a durable, rugged design to deliver superb sound reproduction and the outstanding acoustic isolation required in professional recording and monitoring environments. Long sessions are no problem! The plush padding reduces fatigue during extended use, and the over-the-ear design ensures that the HDH40 stays secured while you're wearing them. With the HDH40, you can concentrate on what's important-your production! 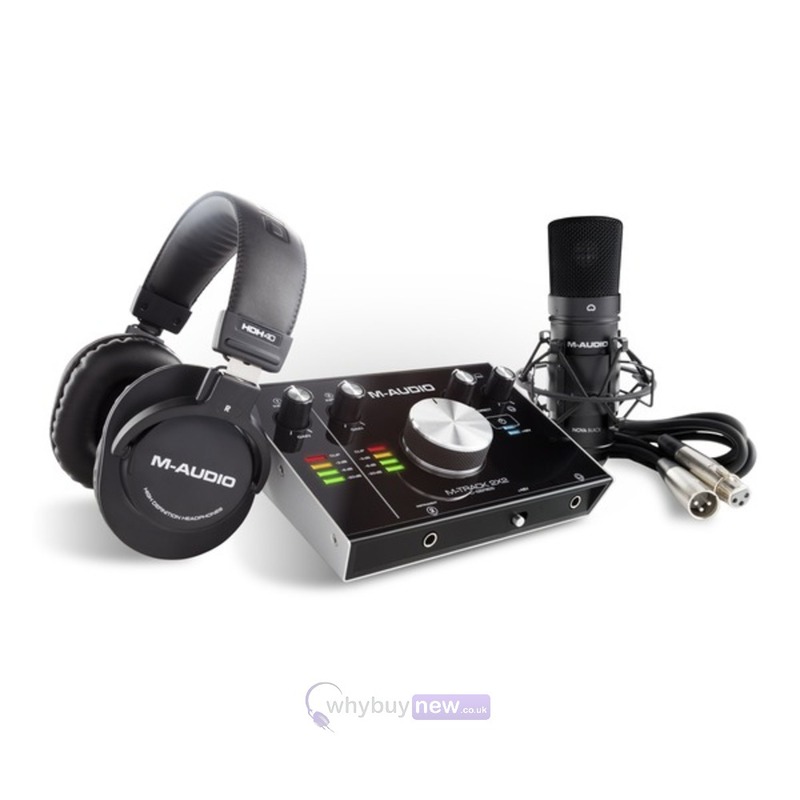 Here we have the M-Audio M-Track 2X2 Vocal Studio Pro in brand new condition and in B-Stock. The B-Stock versions would have been on display at a training evening or trade exhibition only and will come boxed 'as new' with all accessories and a 1-year warranty.